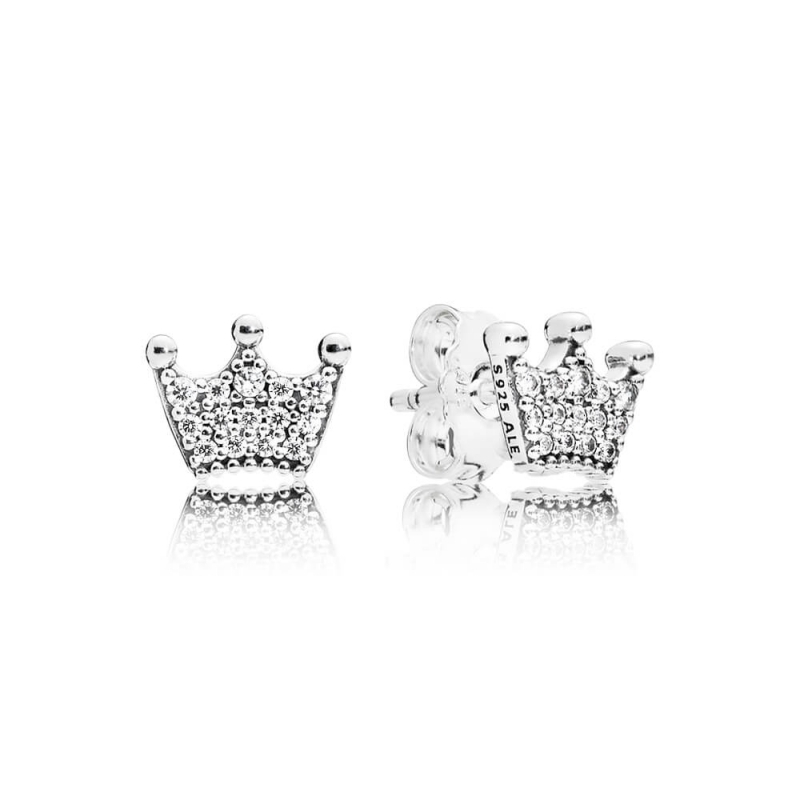 PANDORA Enchanted Crowns Stud Earrings. Adorn your ears with glittering crowns for a dash a regal glamour. Made from sterling silver and embellished with pavé set clear cubic zirconia.